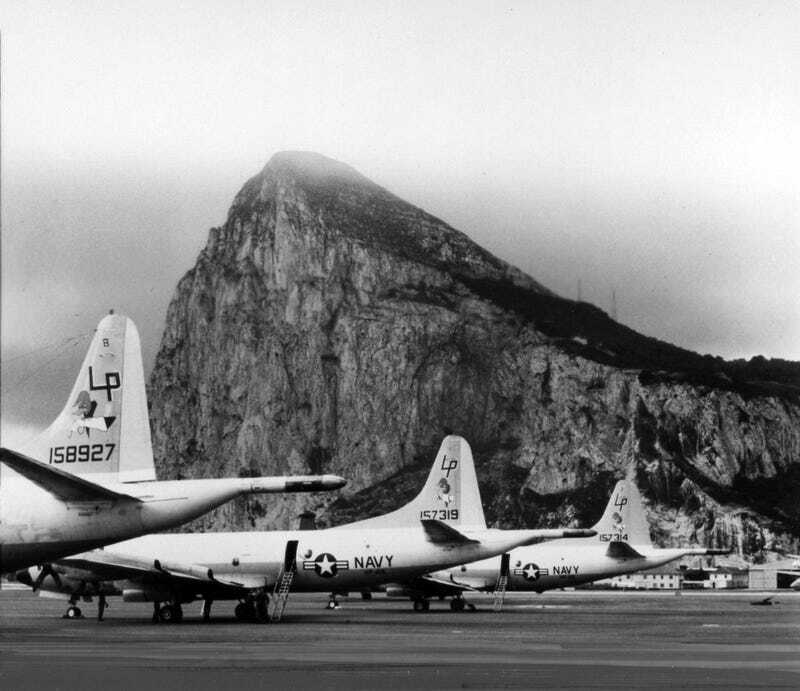 Three deployed US Navy P-3C Orion maritime patrol aircraft sit on the ramp at RAF Gibraltar in late 1984. These aircraft, which featured the Update III acoustic signal receiving, processing, display, and control system, were fairly new at the time this photo was taken. The aircraft are assigned to Patrol Squadron 49 (VP-49), homeported at NAS Patuxent River, Maryland. VP-49 aircrews flew legacy Lockheed Martin aircraft for fifty years. The lineage began with the Martin PBM-3D Mariner in 1944; crews transitioned to the Martin P5M Mariner in 1957; Lockheed P-3A in 1964, and finally the P-3C in 1970. VP-49, later known as the Woodpeckers, was disestablished in 1994 at NAS Jacksonville, Florida, after recording more than thirty-two years and 214,000 hours of accident-free flying.